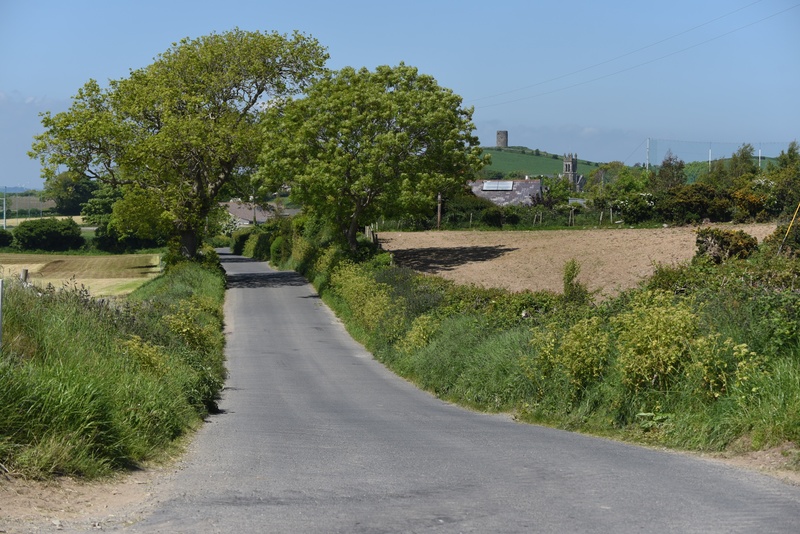 Today’s townland is Ballytrustan, near Portaferry, on the Ards Peninsula in County Down. This photo of the trees and fields of Ballytrustan shows that I haven’t moved far from Tullyboard, my first townland of 2017. The stone tower on the hill belongs to Tullyboard’s windmill, and the church tower below it is St Patrick’s church. The Ballyfounder Road, pictured above, is the only road running through Ballytrustan. Why did I stop at that spot on the road? 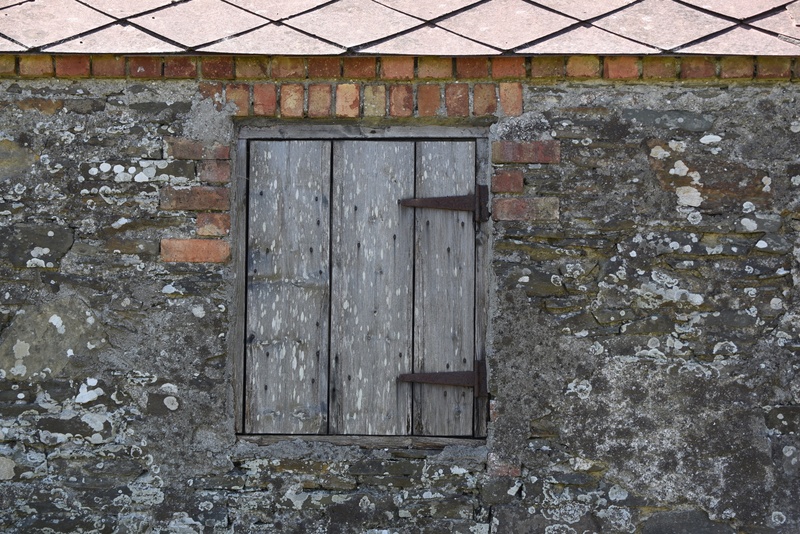 Just because I liked the wooden shuttered window on this old building. According to the PLACENAMESNI website, the name Ballytrustan probably came from an Anglo-Norman surname “Thurstan”. The spelling “Thurstayniston” is recorded in the 14th century, and was later gaelicized as Baile Thrustain. 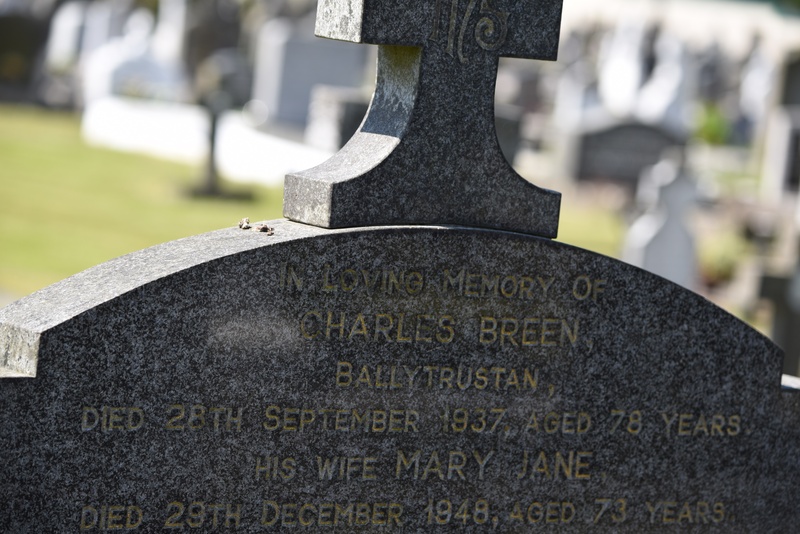 In the churchyard at St Patrick’s, I found this headstone for the Breen family of Ballytrustan. Which townlands border Ballytrustan? To the north, Ballynichol and Ballywierd. To the northwest and west, Tullyboard. To the south, Granagh. To the east, Ballyfounder and Killydressy. Click here to see a map of Ballytrustan on TOWNLANDS.IE. Click here to read more about the townland name on the website of PLACENAMESNI.org. I like the shuttered window. Lots of history there no doubt. I grew up with the view in this picture..Lived a stone’s through from the old barn with the shuttered window which was used by my father for years as a store. Lovely part of the world.